The day after Hurricane Florence plowed through eastern North Carolina—Saturday, September 15—Isabel sat on the couch in her mobile home in Lenoir County and counted out some cash. Calculating how much water and food her family needed, she was prepped to trek through floodwaters to the closest Walmart with her husband. But before she could put shoes on her kids’ feet, Isabel received a text message from a friend. Making rounds on Facebook and Whatsapp, photos showed at least two Border Patrol trucks in nearby Kinston (purportedly in the Walmart parking lot). This spurred rampant confusion and fear among immigrant communities, who make up the majority of the region’s agricultural workforce. According to the Atlanta office of the U.S. Customs and Border Protection agency (CBP), the government deployed 12 officers to North Carolina to assist in relief efforts after Hurricane Florence. In the wake of the storm, stories like these added to the community’s desperation. Isabel and her husband (who are undocumented and whose real names have been withheld to protect their identities) were too afraid to risk going out for supplies if immigration authorities were patrolling. 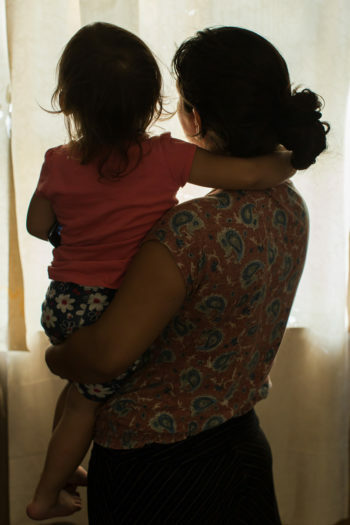 They left El Salvador less than three years ago, following the murder of her husband’s brother, and their fear of deportation outweighed another day of hunger pangs. Like any major storm, Hurricane Florence intensified the existing problems within rural infrastructure. The storm killed 39 people, left 610,000 people without power for weeks, and sent 20,000 people to shelters, according to state officials. Across 27 counties, farms flooded, bridges and trees collapsed, homes were destroyed, and schools were closed for weeks. One month later, many homes remained without power. 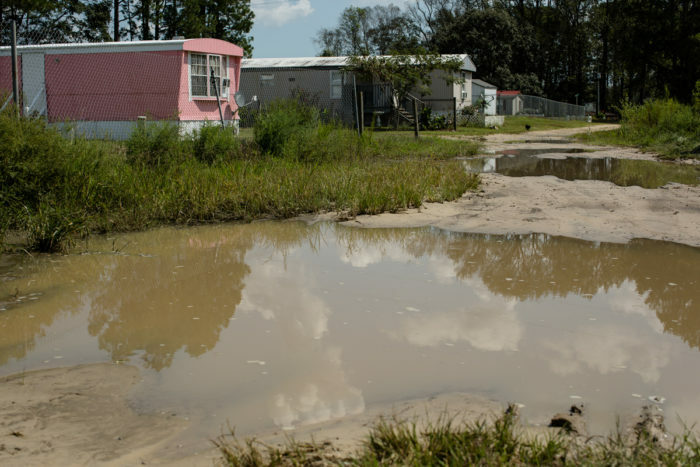 The region was still recovering from the flooding after Hurricane Matthew in the fall of 2016, a period in which the state had been denied 99 percent of the federal recovery funds it requested. In the wake of a natural disaster like Florence, the most vulnerable will be among the hardest-hit; for undocumented communities such as North Carolina’s farmworkers, the challenges are compounded by an inability to access life-saving services and food. As climate change makes disasters like these more frequent and more devastating—as with Hurricane Maria in Puerto Rico and the Northern California wildfires last year—self-organizing support networks are serving as a safety net for undocumented communities. 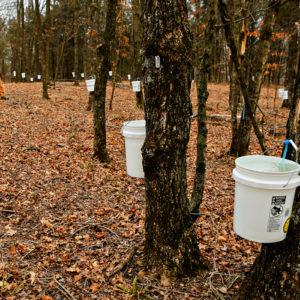 Migrant workers in North Carolina follow a trail of agricultural jobs that keep their lives in motion. For example, many follow the path Silvia and her husband took: from tomatoes and citrus in Florida to cucumbers, blueberries, tobacco, and sweet potatoes up through the South. Many who have families stay in North Carolina, leaving for a season to work in Florida before returning. Anecdotally, this accounts for many of the families affected by Hurricane Florence. North Carolina is home to a $70 billion agricultural industry, the fourth largest in the country behind California, Florida, and Texas. It’s also among the top three states employing H-2A agricultural visa-holders in the country, with at least 20,000 working in North Carolina this year, according to Lee Wicker, deputy director of the North Carolina Growers’ Association. A season typically lasts from May to November, but in anticipation of the storm, many farmers ended their harvests early. Many H-2A workers were told to go home; others work in other states using their visas. But for undocumented workers, there’s often nowhere to go. In Pender County, an area hit especially hard, farm manager Jeronimo Hernandez says his home was without power for weeks. He’s spent 20 years working in the region, and manages migrant workers in fields. He says many of his peers lost their homes, and took everything they could carry before the storm and fled with their families. He doesn’t know where they went, or if they’ll return. Garzon says this is how newcomers come to the Episcopal Farmworker Ministry. While various organizations are set up to assist H2A visa holders and families with U.S. citizen children to apply for benefits they qualify for, like FEMA relief or SNAP benefits, EFM offers other forms of support. “I think that’s why a lot of people are contacting us, because we aren’t connected to the government,” says Garzon. “We don’t anticipate families who want to apply for benefits [even if they may qualify] because they’ve seen information in the news that it’s harder for people to get their residency if they ask for social services. We’re doing what we can.” That’s why reports of la migra on the ground made workers nervous. The idea of speaking with a government official for any aid also sparked a longstanding fear of deportation. Inevitably, the hurricane affected the most vulnerable in an area where the income gap is wide, dividing the majority-white landowner population from workers in Black, Latinx, and immigrant communities—mostly Haitian, Mexican, and Central American. But the number of undocumented workers without jobs or homes is hard to determine; they don’t show up in demographic data. And for advocates and farmworker support networks, it can be a difficult scramble to find the farmworker families that need help—crisis or not. Data on migrant workers is hard to come by because it often depends on university-funded research projects, which don’t maintain yearly updates—and because workers without legal visas aren’t included in the numbers that employers report to the U.S. Department of Labor. Even so, data show that North Carolina’s Latinx and foreign-born populations are growing, and in some of the agricultural counties affected by Hurricane Florence, the latest U.S. Census data shows up to 13 percent of the population as foreign-born. Melissa Bailey Castillo, director of outreach at nearby Kinston Community Health Center, has been working in the state’s farmworker support community for more than a decade. She has seen a noticeable increase in migrants from Central America, where people are fleeing violence, economic poverty, and increased rates of hunger back home. 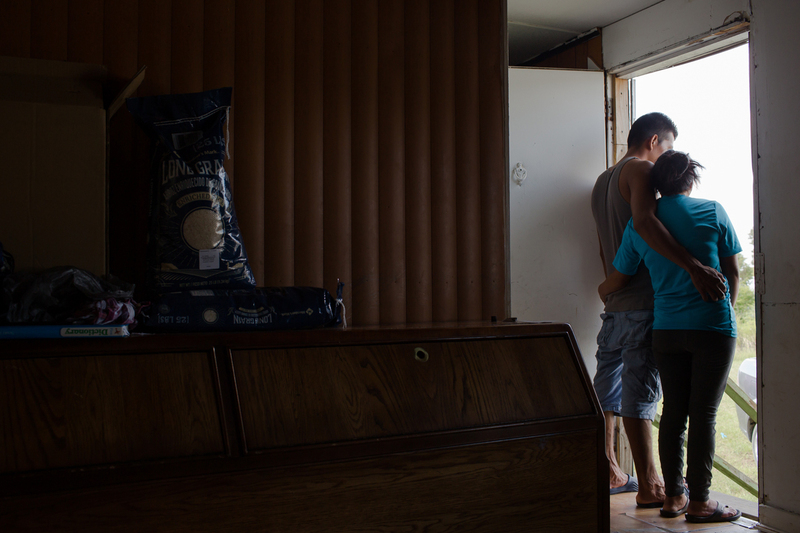 When they arrive in the United States, migrant farm laborers often face the same pervasive hunger. According to the Legal Aid of North Carolina, nearly five out of 10 farmworker households in the state cannot afford enough food for their families. Compounding the challenge of making sure these families have enough to eat is the fact that as many as one-third of all farmworker communities are “hidden” and inaccessible to the rest of the community, or to service providers. Episcopal Farmworker Ministry only employs two full-time positions and is located in the small town of Dunn, which was spared some of the destruction from Hurricane Florence. But neighboring towns were left devastated; anecdotes started streaming in long before the news reports. “We got reports that people didn’t even know a hurricane was coming,” says Garzon, who had started her job just a week before Florence hit. “We started going to camps that Saturday during the hurricane. The storm wasn’t even over, but we were out there. We were really worried about people.” She says that by 9 p.m. that evening, she returned to the office with a U-Haul truck to find at least 10 farmworkers ready to help load donations that had already come in. 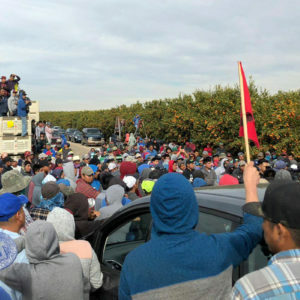 Word of mouth spread reports of farmworkers in urgent need, and a loose community network of advocates quickly grew into a full-fledged campaign to assist the impacted families. 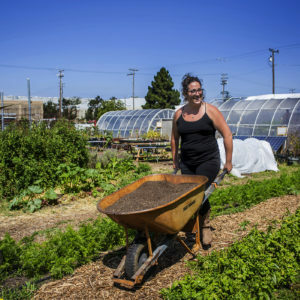 Within 10 days, volunteers all over the state shifted their focus from bigger relief efforts—those with large nonprofits behind them—to farmworkers, creating a Farmworker Solidarity Project group on Facebook. More than 400 people are signed up for alerts, and Garzon estimates that thousands of farmworkers received food over the last month. 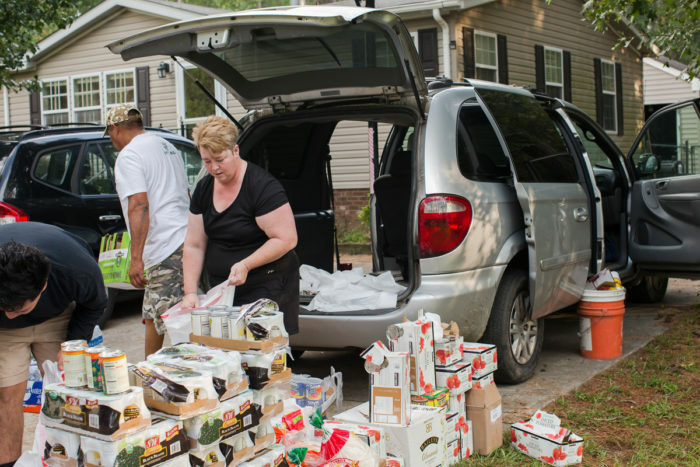 Donations included fresh food from farms further inland, hot meals and sandwiches cooked by church communities in Raleigh, and dozens of rideshares and deliveries to farmworker camps and family homes across at least 10 counties. Next door to Isabel’s home, Silvia and Nelson (not their real names) look out the front door of their trailer. A few large puddles dot the dusty landscape, filling deep crevices along a bumpy dirt path long neglected by public services. Just a day earlier, it was impossible to drive through this cluster of trailer homes. Flooding left water high and stagnant for days, hatching a new breed of mosquitoes that still hang in the air in thick, hungry swarms. Cars couldn’t pass, and residents of the dozens of mobile homes in the neighborhood had to wade to their front doors. “We stay inside now, where it’s cool,” says Silvia. She and her husband worked on a farm harvesting sweet potatoes. But a week before Florence, the farm’s owner told them not to come back: The farmers were trying to wrap up before the flooding. In the storm’s aftermath, the USDA estimates that North Carolina growers lost at least $1.1 billion worth of farm products. This means many farmworkers have lost their jobs—especially people like Silvia, Nelson, and Isabel, who don’t have legal working visas. In Silvia and Nelson’s trailer, windows are covered in aluminum foil in an effort to reflect the 90 degree heat off the home. Inside it remains dark and humid. Silvia’s eight-year-old son steadies a folding chair against the refrigerator a few feet away, climbs onto its seat and reaches for an open cardboard box. He jumps to the ground with a thud and pushes a bag of Doritos toward us. “Here, would you like some?” he asks in English. Four adults and five children (including a newborn baby) share this trailer. If it weren’t for a box of food they received that morning—stacked with two dozen fresh eggs, beans, tortillas, more rice, powdered milk, and baby formula—they would subsist for another week on chips and soft drinks. The roads to grocery stores are now cleared, but the family is running out of money. 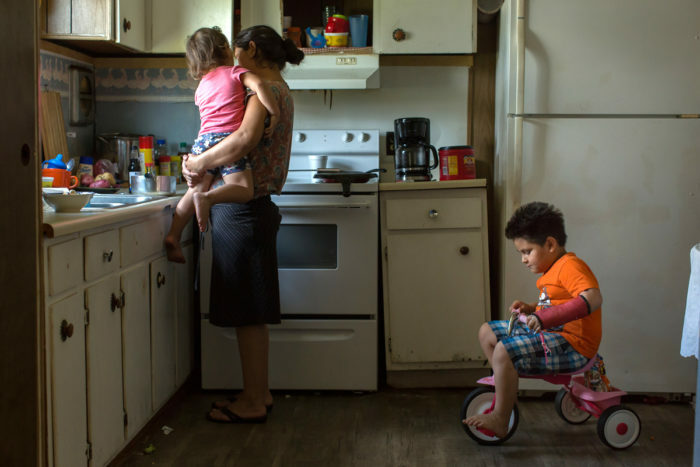 The trailer home park where they live is known as an enclave of working families—predominantly immigrants who work in the fields and in pork and chicken processing plants. With the exception of the migrant education program visiting the school-age children, no official relief agency had been out to check on the few dozen families. But Kinston Community Health Center’s Bailey Castillo knew that; she organized the volunteers that dropped off the donated food. Reliant on grants and private donations, the existing nonprofit organizations that support farmworkers often scramble to balance the vital task of directly supporting the communities they serve with the time it takes to search and apply for necessary funding. The international church-led relief agency Episcopal Relief & Development donated $15,000 to EFM, which facilitated the launch of a huge effort of rapid response. Two months later, the Farmworker Solidarity Project is still organizing food donations to a few families directly making requests. But the project has pivoted to focus on more long-term sustainable efforts to provide stable housing for farmworkers. Garzon says that eight trailers destroyed by Hurricane Florence are currently being renovated through the project. The group is also trying to help around 60 families with other housing issues, such as toxic levels of mold in their homes, or with funding easier repairs, like roof leaks. Advocates hope the momentum from relief efforts will build a long-lasting community dedicated to the cause. At the very least, says Bailey Castillo, their efforts have built a tolerance in a rural area that traditionally has kept a separatist culture. Garzon is inspired by the momentum connecting different communities. “Part of our work at the EFM is to build bridges between farmworkers and non-farmworkers,” she says.